Like all things good or bad, Cry Havok comes to a close. But does the story deliver a good ending worthy of the story? Finally, Cullen Bunn and his art crew of Marcus To and Rain Beredo bring the finale of Cry Havok to readers. At six parts, it’s written to the size of a trade paperback, and has been well paced so far. However, this final story suffers from the limits of the format of writing for the trade. Captured by Havok’s cabal of evil Mutants, the new X-men have been experimented on by Miss Sinister. With the heroic mutants’ powers negated, it’s down to reluctant Cabal member Emma Frost to save them and stop the threat of Mothervine. The final fight is messy, but predictable, and leaves mutantkind once more with a dubious future. 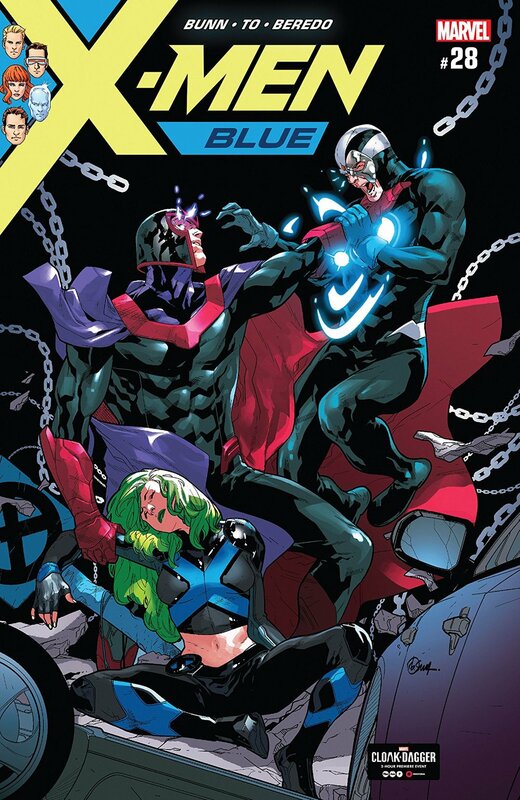 Earlier chapters of Cry Havok have felt like a major event comic smushed into just X-Men Blue. Amusingly, this event comic feeling also extends to the sudden death of several cast members, and at least one villain, done for shock value. One death even ends a potentially interesting storyline that Bunn had been working on earlier, while some other deaths seem to end fan-favorite background characters as well. One can only wonder if those deaths will even stick, considering the current revolving door of death for those who feature in X-books. Bunn still does some good work here, with dialogue between Polaris and Havok feeling like something that needed to be done forever ago. 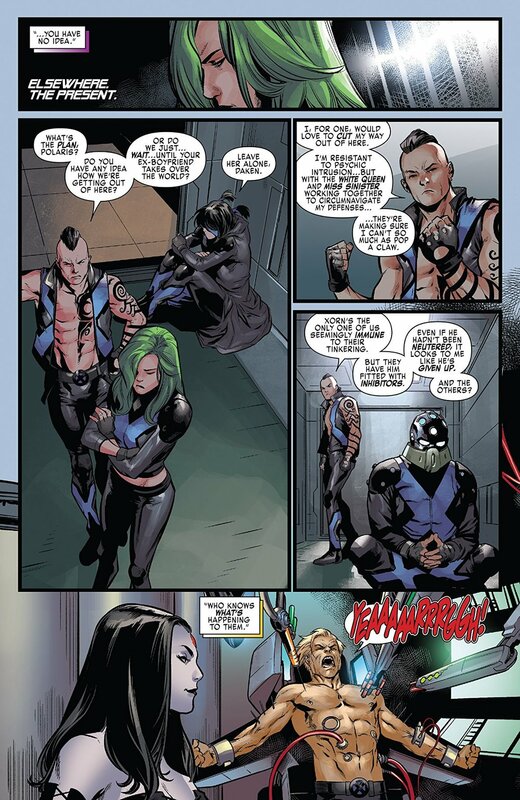 It is still a delight to see Daken trying to be a good guy, but still being solidly in line with what he once was. However, almost all of the X-Men Blue team fall into the background and the story feels like it just moves through the motions in the latter half of the book. For a story that had a lot of good potential and some excellent character choices, that is an honest shame. To and Bererdo luckily prop the lackluster ending up with some great artistic choices. As the action begins to kick in, panel sizes and shapes begin to distort and bleed over one another, which works well with implying action and chaos. One panel in particular stuck out as a guilty pleasure, with the face of a villain being reflected off the claws of Jimmy Hudson as he moves in to strike. It is cliche by now, sure, but some cliches just work. It’s a little sad that the end of Cry Havok landed with a wet thud, but the rest of the story was quite engaging. This is likely one of those stories that will read much better in trade format, as the reader won’t have to wait a couple of weeks between chapters.